I’m still geeking out about the cool new tech I encountered during my annual safari to the Consumer Electronics Show (CES). Like all CES events, CES 2019 showcased new tech toys pipelined for 2019 and alpha versions of what companies think will be cool and useful for the next few years in that signature big, flashy CES style. What I find especially cool about CES is how wildly across the map the mix of vendors and presenters in attendance are. E3 is big but limited to gaming tech. The same thing for events like DefCon and AI World,” Dr. Bolman said. But in the halls of CES, attendees experience technologies that range from Uber’s concept for a flying taxi quadcopter, to dancing robots, to Amazon’s tortoise-rimmed AR glasses, to smart belts. And about a thousand other things. 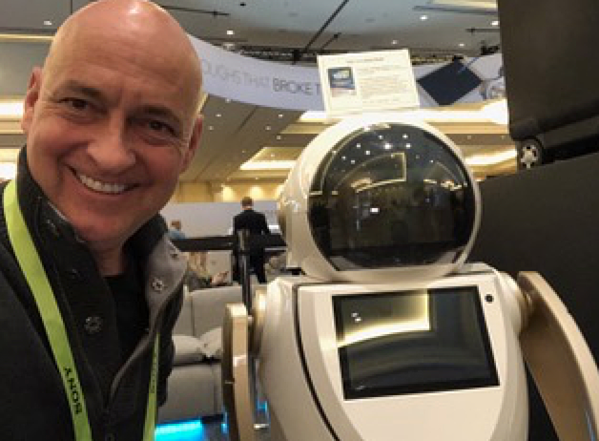 After four days immersed in edgy new tech, I usually leave CES feeling like “The future is now.” As provost at the University of Advancing Technology, I seek out trends to bring back to students, classes and project builds. This year was no different. As I strolled through Eureka Park, I noticed a few themes that I’m taking back to campus with me and watching closely, including artificial intelligence, mainstream automounts and electric vehicles and sustainability. Artificial intelligence is going to be as commonly included in our tech designs as Internet connectivity has been over the past decade. This trend is just starting and accelerating. I encourage every student to add some level of AI to their toolkit before graduation. Several UAT AI and computer science faculty are of the mindset that full stack won’t be full stack without AI in the near future. Mainstream autonomous and electric vehicles are coming and will be the most disruptive change to transportation since the Interstate. For an intro peek into the momentum of this movement, Google what all car makers are planning to do with cabins and windshields. Also take a look at new tech vendors, like nVidia, that build these systems. Sustainability is making its way to technical designs and ideas. 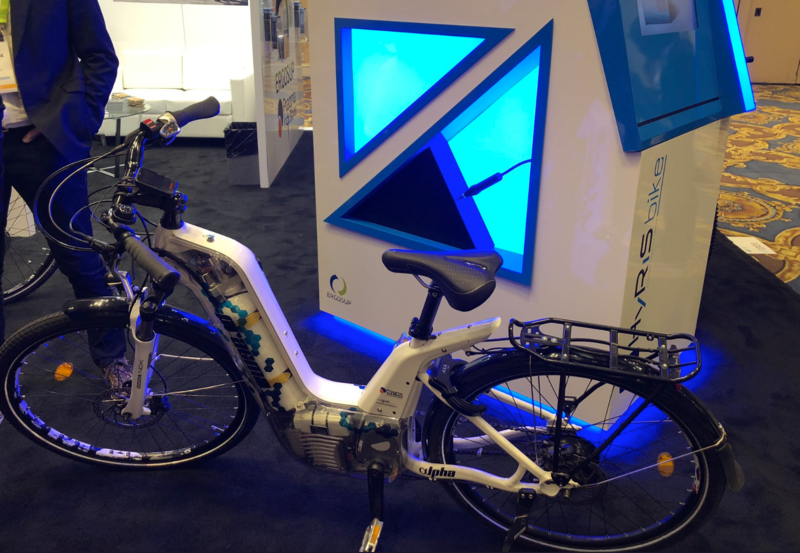 One of the award-winning innovations at CES 2019 was a hydrogen fuel-based power-assisted bicycle. This design won an innovation award and for incorporating a charging station designed to sit in a home garage and convert water to hydrogen fuel. I also saw numerous innovations on display that helped agriculture by eliminating the need for fossil fuels, recapturing energy and even pulling drinking water out of the air. Read about my favorite tech at CES 2019 here. Do you want to learn artificial intelligence skills and develop smart objects to help save the planet? Come make tech with me at UAT. Apply today.